La Connor is the perfect setting for this passive solar home for an empty-nest couple. The client, an experienced building tradesman, acted as their own general contractor and crafted many of the details. 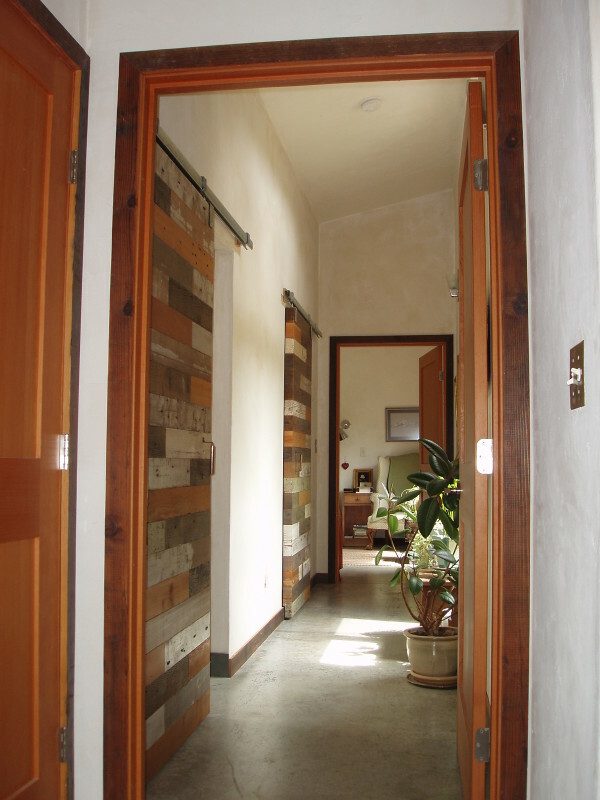 Reclaimed materials were used inside and out to achieve a rustic modern aesthetic that is easy to maintain. Open riser stairs are crafted from slabs of fir, and barn doors are skinned with lengths of various colored reclaimed wood. South facing windows, concrete floors, and super insulation make a recipe for passive solar success. Geothermal water heating, highly efficient appliances, and PV electric panels make this a truly resilient home.